The 17th Century Ye Olde Bell hotel is steeped in history: it’s a former farm and coaching inn which once hosted Queen Victoria. The quirky spa, which opened in spring 2017, is split over two levels. 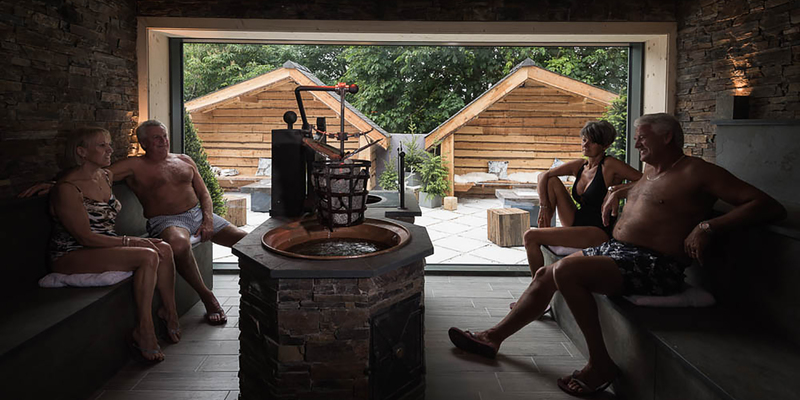 The thermal facilities, including a sauna, stonebath, laconium, steam bath, salt inhalation room, 10-metre indoor/outdoor pool, snowstorm experience are downstairs; the treatment and relaxation rooms, the rasul and Sabbia Med light therapy room are upstairs. Face and body treatments are by Spanish brand Germaine de Cappucini which specialises in targeted and anti-ageing therapies. 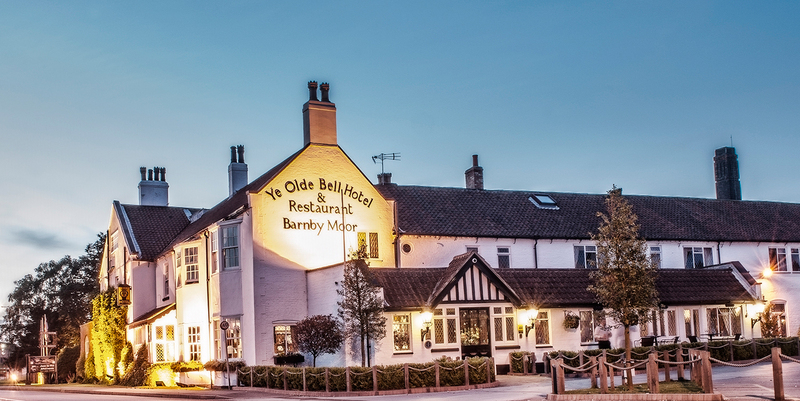 Situated in Nottinghamshire's leafy Barnby Moor, the traditional Ye Olde Bell dates back to the seventeenth century. A former coaching inn, the property is now a hotel with an AA Rosette restaurant. Rooms blend historic charm with modern amenities. The spacious spa is the newest addition, sympathetically blending old with new; an original brass bell marks the spa entrance. The light, bright reception area exudes Scandinavian style; from here, we went to a vibrant-hued lounge to fill out consultation forms and sip fruit-infused tea. The changing rooms are stylish with duck-egg blue textiles and striking peacock wallpaper. A central counter with mirrors, hairdryers and Germaine de Cappucini cleanser breaks up the large space. You'll find private changing cubicles, spotlessly clean toilets, a swimsuit spinner, and showers containing Germaine de Cappuccini conditioning shampoo and shower gel. Lockers contain fluffy robes, a towel, flip-flops, a bag for wet swimwear and a jewellery pouch -- a nice touch. Our spa butler, Heather, showed us around the hot and cold zones and suggested we work our way around in a clockwise direction, beginning at the footbaths. We loved the Herbal Laconium, a sauna heated to a pleasant 40-60 degrees C and lightly scented with fresh herbs. 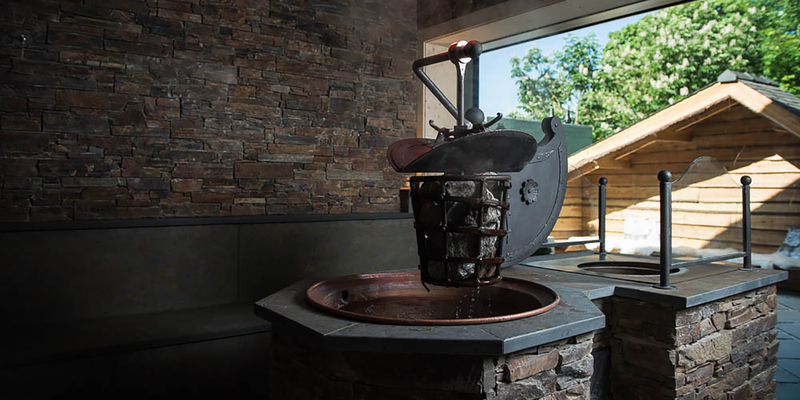 Next door is a quirky Stonebath: watch as the clockwork mechanism drops a bucket of hot coals onto a sizzling cauldron of water alongside storm sound effects and red flashing lights. It's quite something. Cool down in the Snow Storm Experience, with its choice of settings, or try Ye Olde Bell's pine-scented Alpine Sauna, the hottest room in the spa, seating between six and eight people. Refresh in the experience showers afterwards or with the ice bucket. 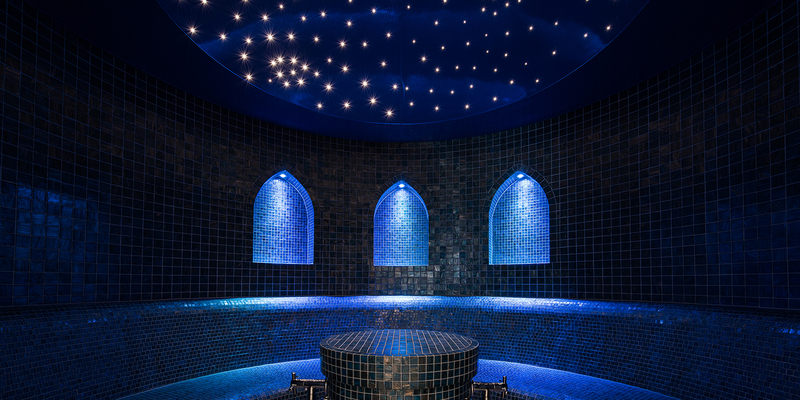 The steam bath, with its pretty lights and chamomile and lavender scent, will feel very relaxing after all the excitement. We saved the spacious Salt Inhalation Room for after lunch; a good decision: the bean bags inside this room-temperature space are perfect for a post-lunch snooze. Ye Olde Bell's 10-metre vitality pool spans inside and out, with a bubbly relaxation bed, a reflexology chair and a swan-neck fountain. Outdoors, the pool is surrounded by heated mosaic loungers, and wicker chairs and loungers. Grab one of the many magazines and settle in for a while; spa butlers will bring you home-made lemonade, snacks and sun cream while you lounge. Spa Spy heaven. Upstairs are two relaxation rooms: a brighter one for reading and a darkened space for post-treatment naps. 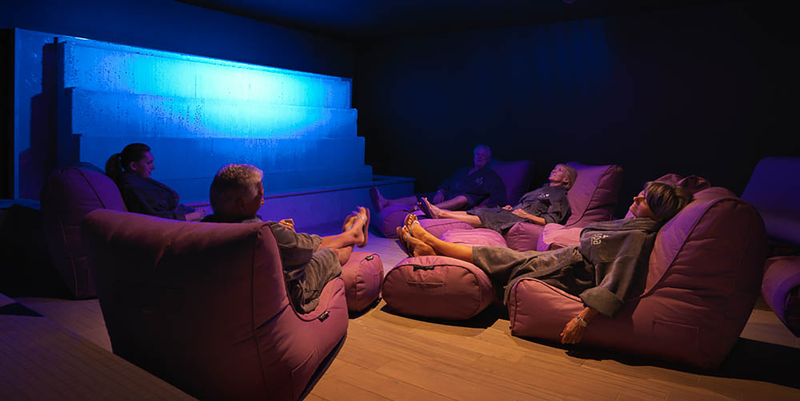 The spa at Ye Olde Bell also has a rasul; a Sabbia Med sunlight therapy room complete with sand, deckchairs, lights that stimulate the production of Vitamin D, seaside murals and the sound of crashing waves; a hair boutique and nail salon. We tried the Royal Victorian Ritual (90 minutes, £100). My therapist, Claire, met me in the reception area and led me to a modern, minimalist treatment room. We discussed the treatment and my areas of concern before selecting a scented oil according to my Chinese horoscope. I lay face down on the large treatment bed and Claire asked me to take a few deep breaths to relax my body ready for the back massage. Claire used long, sweeping strokes across the larger areas of my back, allowing the oil to let her hands glide. When she reached my upper back, she added more pressure to release tension around my shoulder blades. The massage was very rhythmic and Claire expertly worked out some of my more stubborn knots using a variety of different techniques. By the time the head massage began, I was in a somewhat dreamy state. Claire then asked me to roll over onto my back and adjusted the bed so I was comfortable. The facial began with a double cleanse using a royal-jelly cleanser. A fresh and tingly menthol exfoliator came next, which numbed my skin a little. Claire gently massaged this off and applied a refreshing mask. The treatment ended with a long and luxurious face, neck and décolletage massage, dots of eye cream, a good dollop of moisturiser and some tension-busting neck stretches. Claire spritzed an uplifting scent into the room and let me come around slowly. She showed me through to the relaxation room where Jerry, one of the spa butlers, brought a peppermint tea to the sunny balcony. I felt thoroughly spoilt and completely Zen, while my congested and angry- looking skin looked calmer and more radiant. 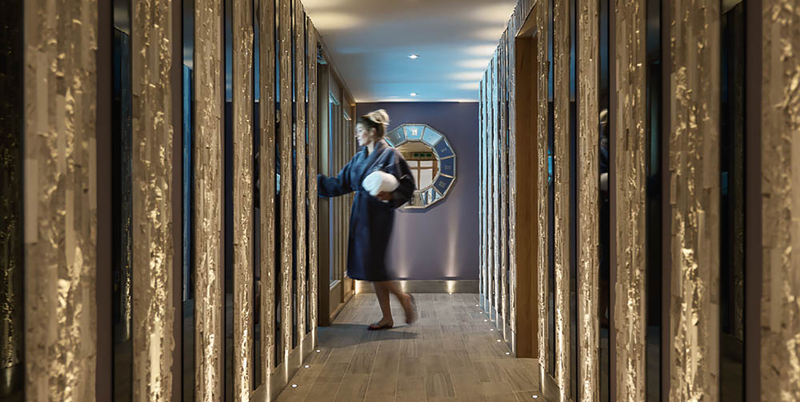 The Spa at Ye Olde Bell offers Germaine de Cappuccini face and body treatments, traditional massages and unusual therapies with an international flavour: from mini Turkish ritual massages to Japanese hydrating water therapies. 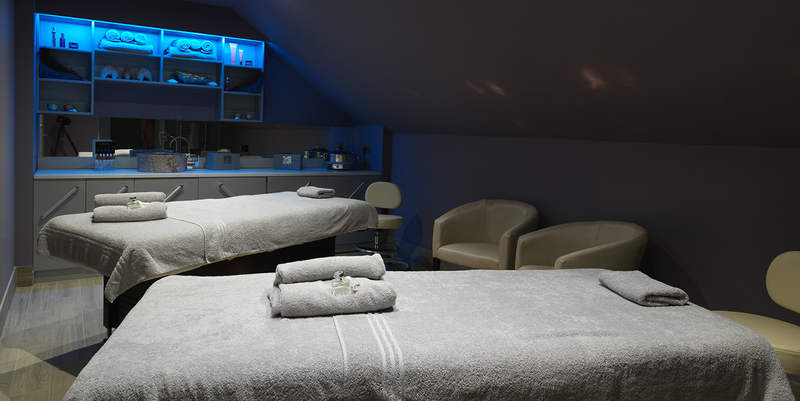 The menu offers treatments for men and mums-to-be, as well as manicures and pedicures. Most spa days include a two-course lunch in the Brasserie, which extends onto an outdoor terrace. Dine in your robe from a menu divided into healthy options, indulgent meals, and somewhere between the two ; we found this very helpful. Our healthy main course of lemon tiger prawn, watercress and potato salad perfectly complemented our rather decadent strawberry mousse acarons with chocolate truffles and strawberry sorbet. Staying overnight? Try the fine-dining Restaurant Bar 1650 serving European classics, or the more casual St Leger Bistro-by-the-bar with its gastro-pub inspired menu. We indulged in mouth-watering pan-fried scallops with langoustine tails, lemongrass and cucumber spaghetti to start. Our salmon with baby potatoes, asparagus and samphire was divine, and our chocolate mousse with praline gel, sugared hazelnuts and chocolate cream was a decadent treat. The proactive and friendly customer service: Staff made us feel like VIPs for the day. The unique spa experiences on offer: You won't believe your eyes -- or ears. 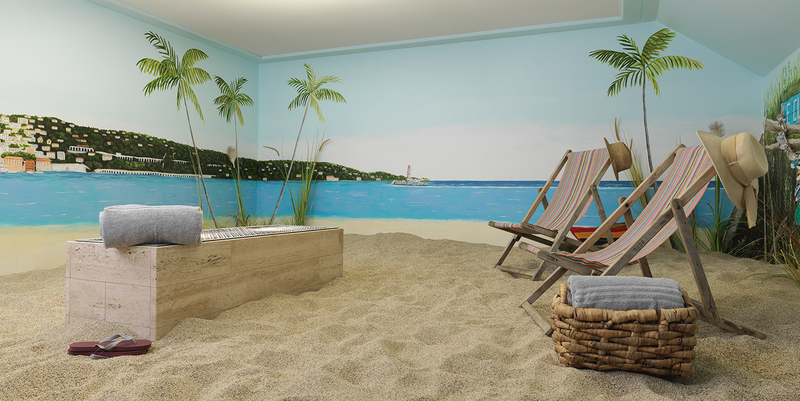 The Sabbia Med sunlight therapy room: Craving a holiday? Half an hour in this room will make you feel like you're in The Med. There isn't much to dislike; however, the vitality pool, while pleasant, isn't big enough to swim laps. If you like to swim on a spa day, then Ye Olde Bell might not be the spa for you. Solo spa goers: The Spa at Ye Olde Bell is small enough to feel intimate, while spa butlers will make you feel very welcome. Small groups or couples: The experiences are fun and ideal for sharing with friends or partners. Foodies: The food at Ye Olde Bell is noteworthy. 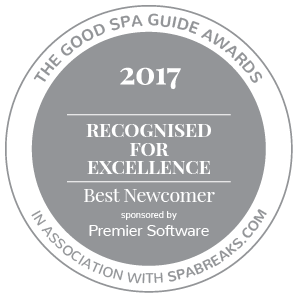 We awarded the Spa at Ye Olde Bell a Good Spa Guide Bubble Rating of 5 Bubbles. 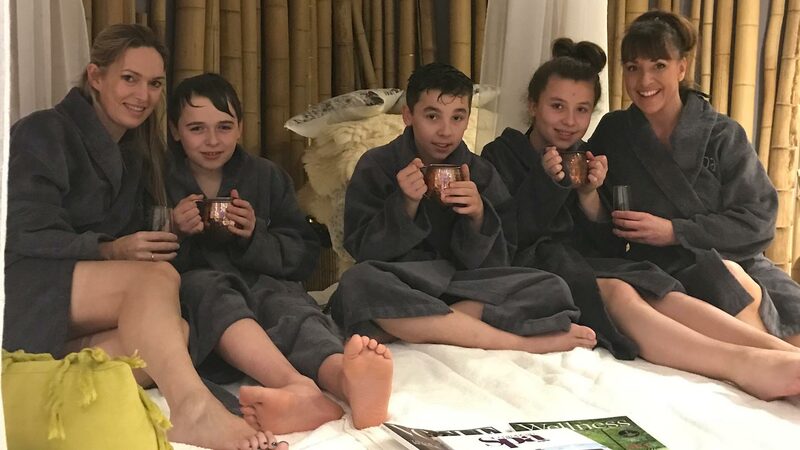 The customer service is fantastic, the food equally so, and the thermal experiences are fun and quirky; everything at this spa has been well thought-out. Ye Olde Bell is a very special place to be. Scarlet Spy visited in June 2018 and awarded it 5 Bubbles. "Visited today with three friends for the morning spa package with SabbiaMed Vitamin D treatment. We had an absolutely lovely time! Great customer service, delicious food and a great variety of spa experiences. Top value for money when compared to other deals in the area. You can tell a lot of effort and thought has gone into the design of this place, everything is done to a high standard. Thank you!" "I've been here twice now, once as a ladies group with my mum, sister and cousin and once with my wife for our anniversary. I love everything about it. Great customer service, friendly and helpful. Excellent facilities that are kept clean and maintained well. Fabulous food. Brilliant value for money, aside from the drinks that are a little pricey but you can get free water and herbal teas throughout the day. " 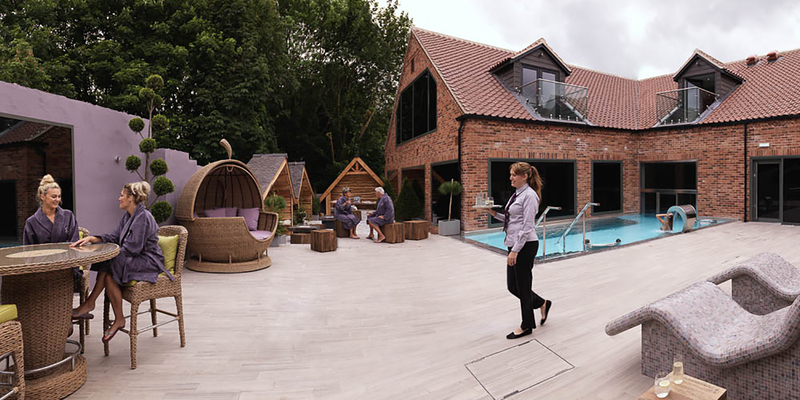 "Such a fabulous spa, will be going soon for my birthday! " "Spa at Ye Olde Bell offer excellent service , the experience on offer are 10 out of 10 loved every minute of our visit . The food and champagne where excellent too "
"The Tween spa session was a fantastic experience, my daughter and I thoroughly enjoyed it. 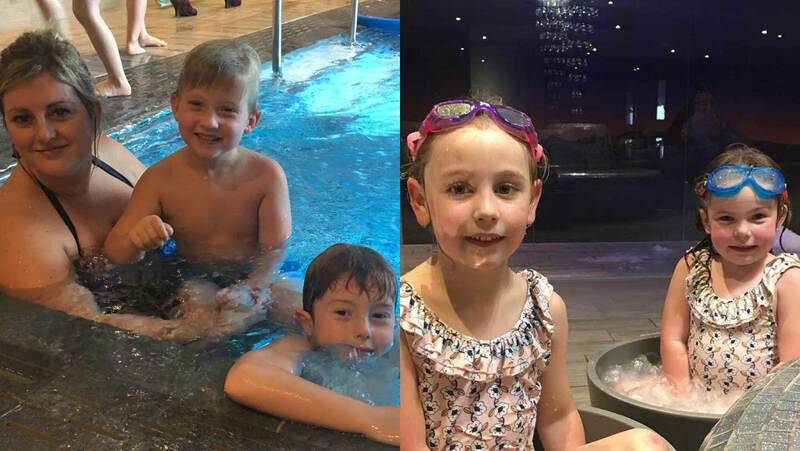 Staff were very friendly and attentive and the spa facilities were exceptional, we cannot wait to return and would highly recommend it." The Herb Garden Brasserie is situated in the spa building and has an external terrace and theatre kitchen. Morning and day spa guests get lunch as part of their package and do not require reservations. Lunch can be added to other packages on request. Lunch is between 12.00pm and 2.30pm. The menu changes seasonally. The Brasserie can cater for all dietary requirements (notice required) and can confirm non-contamination for severe allergies. The 17th Century AA 4-Star Hotel has 59 individually styled rooms and suites including courtyard rooms adjacent to the spa. The hotel is on the same site as the spa. There is lots of free parking at the hotel and spa. The nearest train station is Retford, which is on the east coast mainline and is less than 4 miles away. The spa is fully accessible on both floors for guests who use wheelchairs. The lift provides access to first floor treatment rooms, express boutique and rasul & Sabbia Med. 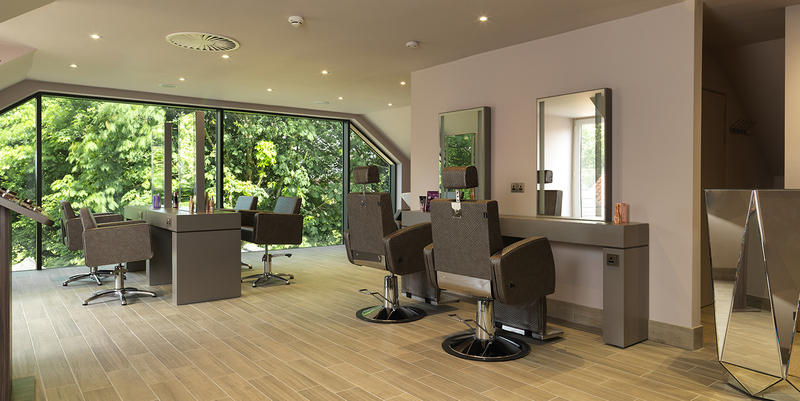 There is a fully accessible ground floor disabled changing space which is opposite the entrance to the spa area.